The annual medical camp conducted by the Indian Navy at Lakshadweep Islands concluded today at Kadmat Island. A 27 member multi specialty medical team led by Surgeon Commodore Girish Gupta, Commanding Officer Indian Naval Hospital Ship (INHS) Sanjivani commenced the mission on 1st November. Medical camps were conducted at the islands of Minicoy, Androth, and Amini in addition to Kadmat. INS Krishna and a Dornier aircraft from Southern Naval Command provided logistical support for the endeavor which is traditionally the opening event in the series of activities leading to the Navy Day on 4th December. 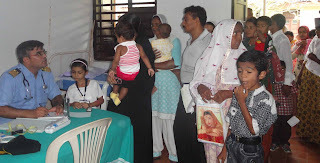 Over 2000 islanders benefited from the camp which had specialists in pediatrics, radiology, ophthalmology, gynecology, psychiatry, dermatology, neonatology, dentistry, and medicine from INHS Sanjivani, the Naval hospital at Kochi. Surgeon Commodore Girish Gupta, Commanding Officer INHS Sanjivani while detailing the massive logistical evolution for the mission, said that the camp is a demonstration of the Navy's commitment for Lakshadweep Islands. He also expressed satisfaction at the enthusiastic response from the people. 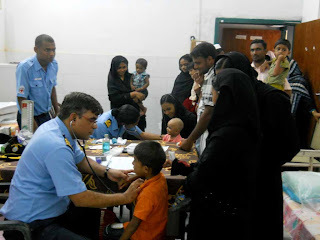 Naval doctors detected high levels of anemia among the population. The medical team also carried out midwifery training for the islanders in view of the relatively modest delivery care there and distance from mainland. A specific case of molar pregnancy was also managed by Naval doctors. 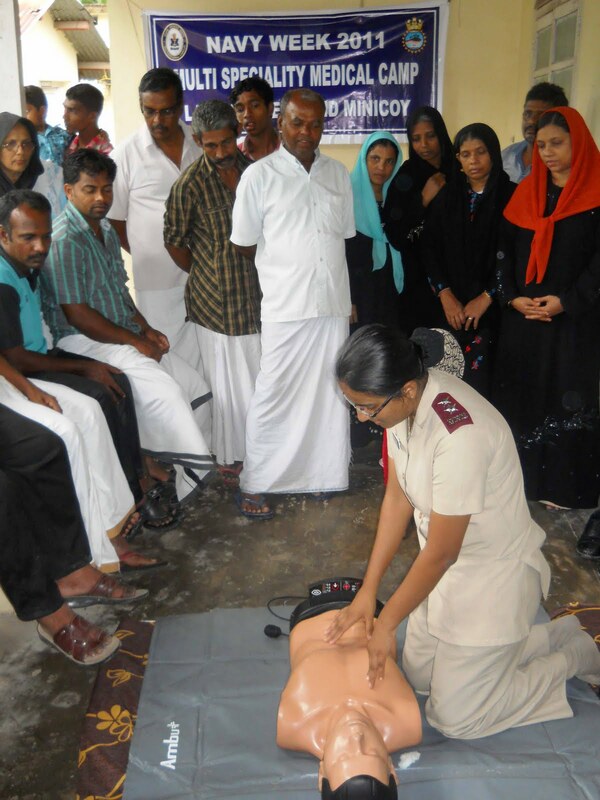 Lectures on parenting, counseling, and basic hygiene were provided in addition to basic life support training using dummies. 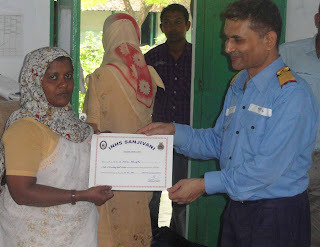 The Lakshadweep administration provided excellent support for the Navy team from mainland. Pix2 A military nursing officer conducting basic life support training on a dummy. 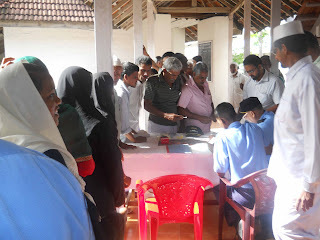 Pix3- Pix5 Medical camp in progress.